Your hands put love into everything they do, from baking to gardening to caring for loved ones. However, with our busy schedules, we don’t always remember to give our hands the extra love they deserve back. 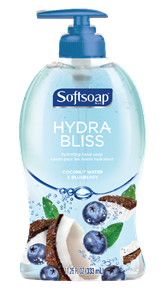 Don't neglect your hands this Spring and Summer - Softsoap Hydra Bliss is here to revive and refresh your skin after months of dry, cracked hands. The hydrating formula retains your skin's natural moisture, leaving your hands feeling soft and smooth. 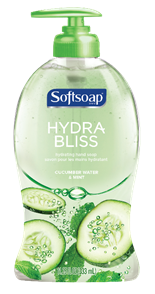 I've been keeping Softsoap Hydra Bliss Hand Soap in my kitchen and in my bathroom. I'm a fan of both fragrances. I have dry skin, so I appreciate that the soap is making my hands feel refreshed. The hand wash gets hands clean in all sorts of dirty and sloppy messes, and easily rinses away excess food ingredients from my hands. I love the Softsoap brand! They have so many scents to choose from, it is the only hand soap that I buy for my family. :) Thanks for your review! Those scents sounds wonderful. I love Softsoap. I love how Soft soap comes out with so many new scents.This is one I'll have to try.